Located ten minutes away from the city center, Bilbao Aterpetxea Hostel in an estate of 22,000 m2 of gardens and sports area, Bilbao Aterpetxea Hostel offers you facilities. The high level of its facilities and the treatment our guests receive from our staff, as well as the attractions of the city, will make your stay at Bilbao Aterpetxea Hostel into an unforgettable experience. 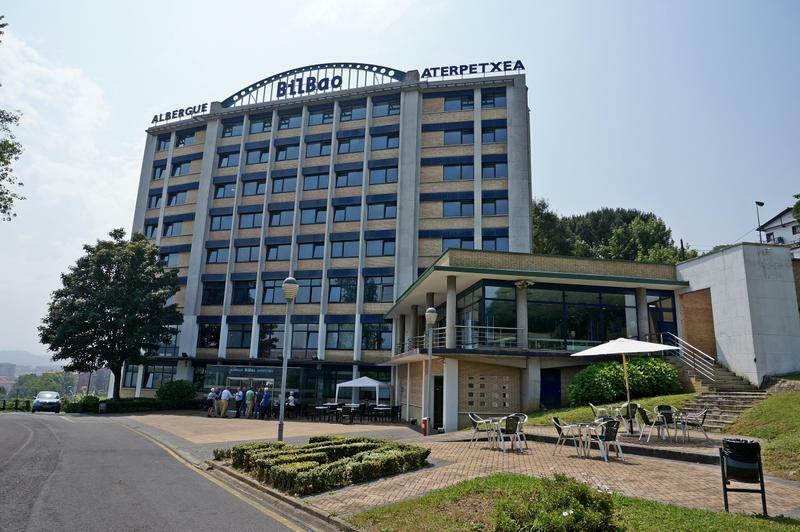 Ensuring safe accommodation and excellent quality at affordable prices, the Bilbao Aterpetxea hostel has been open since June 1999 with the ISO 9002 quality certification, the first hostel in Europe and second in the world to get it. We have 50 rooms (142 beds) spread over 8 floors and rooms are all services of the Hostel.On P0 contains the reception and other administrative departments. Our facilities include; Meeting rooms, dining area and access to the Internet. In the area outside the hostellers can enjoy sports such as athletics, football, basketball, table tennis and more. It also has a car park, bicycle and a large garden. The Albergue Bilbao is managed by a social organization nonprofit, Suspergintza Elkartea belongs to Taldea EDE, with over thirty years of experience. EDE Taldea commitment to social, cultural and educational development of Bizkaia, by promoting programs and services for people and organizations in the field of social intervention. All rooms are exterior and spacious. We have 50 rooms with availability for 142 beds, spread over 6 floors. In each room you will find:Electronic key access ;Bunk beds and comfortable ;Sheets and duvets included ;Individual light ;Box office staff ; Heating ; Buffet breakfast. ; Half/Full board. The Hostel is opened 24 hours. If you are going to come after 22h please advice us in advanced. 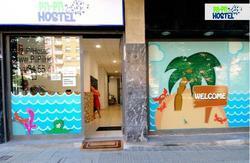 The hostel is well connected to the city by buses that stop just meters from the hostel.Buses link to the main streets of Bilbao, which allows for quick travel to the city.The tram is a 15 minute walk. Stop 'Basurto'. Bus number 58: Connects with Old Town .Whether you come from Santander, as from Vitoria-Santander Sebastian take exit 119 'BALMASEDA', and then the 5 'Altamira',continuing Altamira address Bilbao. (The hostel is located about 500 meters). Bus number 80: Connects the Hostel with the bus station (Termibus), and Metro (stop San Mames. - Luis Briis end street.